C.M. Mayo to read from and sign The Last Prince of the Mexican Empire together with Robert de Gast, author of The World of San Miguel de Allende: An Uncommon Guide. LITERAL magazine presentation with editor Rose Mary Salum, C.M. Mayo, Tanya Huntington and Adolfo Castañón. >> For more information and to sign up, click here. Who knew that Mexico once had a half-American prince? Or that this little boys future was hotly debated not just in Mexico but in Washington D.C. and in every court in Europe? Set in the mid-19th century when Maximilian von Habsburg was Emperor of Mexico, C.M. Mayo's novel The Last Prince of the Mexican Empire is based on the true and never before completely told story about a half-American, half-Mexican boy who, as in a fairytale, became a prince and then a pawn in the struggle-to-the-death over Mexico's destiny. Published by Unbridled Books this May, The Last Prince of the Mexican Empire has already received numerous glowing reviews, including from Publisher's Weekly, Latin American Review of Books, the Austin American-Statesman, Mexico Connect, and Library Journal, which said, "Mayos cultural insights are first-rate, and the glittering, doomed regime comes to life." C.M. Mayo will present the novel and discuss the story of Mexico's last prince, a descendant not only of an emperor of Mexico, but of an old Washingtonian family, and why it has been obscured for nearly 150 years. >>Click here to view photos of this event. Dialogue Intensive. One day only workshop with C.M. Mayo. One of the most powerfully vivid ways to show character, relationship, conflict and/or mood is through the use of dialogue. For both beginning and advanced fiction and nonfiction writers, this workshop focuses on the use and misuse of dialogue, with a series of mini-lectures interspersed with brief exercises. The goal is that by the end of the workshop, your dialogue will be of notably higher quality. >>Click here for more information and to register. 3 pm - 4 pm . Description: The secrets of World War II cast a murderous shadow on the present in Jenoffs latest novel, Almost Home, and a little-known chapter of U.S. and Mexican history  and local history too!  comes to light in Mayos The Last Prince of the Mexican Empire. >>Fall for the Book Festival (George Mason University): David Heath interviews C.M. Mayo about The Last Prince of the Mexican Empire and the story behind the story of Mexico's half-American prince. September 2009. >>BookCast interview with Pam Jenoff and C.M. Mayo. September 2009. In celebration of Hispanic Heritage Month and 450 years of U.S. Hispanic poetry, Dr Georgette Dorn, Chief of the Hispanic Division at the Library of Congress, will be hosting a panel discussion moderated by poet Luis Alberto Ambroggio, a member of the North American Academy of the Spanish Language. Other authors participating: Lori Marie Carlson; C.M. Mayo; Yvette Neisser Moreno; and Steven F. White. >>For the on-line audio of C.M. Mayo's Library of Congress lecture (July 2009) about the research behind The Last Prince of the Mexican Empire, click here. C.M. 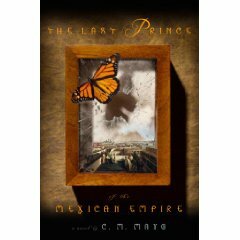 Mayo will read from and discuss the novel The Last Prince of the Mexican Empire. >>Why attend a bookstore reading? Mary Pickford Theater, 3rd Floor, James Madison Building, 101 Independence Ave SE. Note: This is not the Library of Congress building next to the Capitol, but just across the street. Nearest (very near) Metro: Capitol South. C.M. Mayo will give a talk about the research in the Library of Congress archives (including the Emperor Iturbide and Iturbide Family archives and the Kaiser Maximilian von Mexiko archive) for the novel The Last Prince of the Mexican Empire . Read the Library of Congress press release for this event here. >>Listen to the complete Library of Congress lecture. Program 7:00-9:00 p.m., food and beverage orders starting at 6:30 p.m.
Who knew that Mexico once had a half-American prince? Or that this little boys future was hotly debated not just in Mexico but in Washington D.C. and in every court in Europe? Set in the mid-19th century when Maximilian von Habsburg was Emperor of Mexico, The Last Prince of the Mexican Empire is based on the true and never before completely told story about a half-American boy who, as in a fairytale, became the heir presumptive to the throne of Mexico and then, when his American mother wanted him back, a pawn in the struggle-to-the-death over Mexico's destiny. This novel incorporates original research into what is also a very Washingtonian story, for the prince's mother, née Alice Green, was from a prominent Washington family, and his father, Angel de Iturbide, second son of Mexico's first deposed emperor, Agustín de Iturbide, had come to Washington as a young boy and eventually served as the Mexican legation's secretary. Photographs, excerpts and more can be found at www.cmmayo.com. In her Pubspeak presentation, C.M. Mayo will detail the story behind the story of the prince and why it has been obscured for over 150 years. Member cost is $10 with advance payment; $15 at the door. Nonmember cost is $15 with advance payment; $20 at the door. Reservations are required. To RSVP, call (202) 775-5150, send e-mail to rsvp@aiwriters.org or register online at www.aiwriters.org. Please mention the event for which you are responding and your membership status. Reading from The Last Prince of the Mexican Empire with others. Can't make this reading but want to buy the book? To order direct from Barnes & Noble, click here For all ordering options, click here. >>Read the Madam Mayo blog post report about this event here. Uniquely geared toward both beginning and advanced writers, C.M. Mayos creative writing workshop emphasizes techniques for tapping into creativity and specific aspects of craft. As at the Bethesda, Maryland Writers Center where Mayo has taught highly popular workshops since 1999. In this session you will focus on generating new material with exercises addressing: specificity, point of view, synesthesia, imagery, image patterning, plot and more. Click here for more information and to register on-line. C.M. Mayo to participate on a panel about historical fiction with Wayne Karlin, Olga Grushin and Frederick Reuss. >> Read the Madam Mayo blog post report about this event here. C.M. Mayo to read from, discuss, and sign The Last Prince of the Mexican Empire. At the corner of 6th & Lamar, across the street from Waterloo Records and right next door to REI & Anthropology. Can't make this reading but want to buy the book? To order direct from Book People, click here For all ordering options, click here. C.M. Mayo to read from and sign The Last Prince of the Mexican Empire. Can't make this reading but want to buy the book? To order direct from The Twig, click here For all ordering options, click here. >>Read Rose Mary Salum's blog post about the event here. >>And mine (at Madam Mayo blog) here. Can't make this reading but want to buy the book? To order direct from Blue Willow, click here For all ordering options, click here. Can't make this reading but want to buy the book? To order direct from The Book Works, click here For all ordering options, click here. The Mexican Consulate of Los Angeles. C.M. Mayo to discuss the original research behind the story of The Last Prince of the Mexican Empire. IOA Complex: Deutz Room. Free and open to the general public. For directions to the Center for U.S. Mexican Studies, click here. Can't make this reading but want to buy the book? Click here. Can't make this reading but want to buy the book? 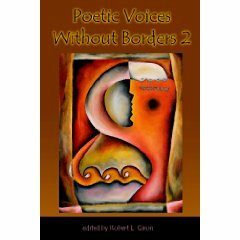 To order direct from Vroman's, click here For all ordering options, click here. 2904 College Ave, Berkeley CA 94705 tel (510) 704-8222. Can't make this reading but want to buy the book? To order direct from Mrs Dalloway's, click here For all ordering options, click here. Can't make this reading but want to buy the book? To order direct from Book Passages, click here. For all ordering options, click here. Can't make this reading but want to buy the book? To order direct from Books, Inc., click here. For all ordering options, click here. The Writers Center is located at 4508 Walsh Street, about 1/2 block off Wisconsin Ave. and there is parking directly across the street. C.M. Mayo to read, sign and discuss novel The Last Prince of the Mexican Empire Introduction by John Tutino, Department of History, Georgetown University. Pub date for the novel, The Last Prince of the Mexican Empire. Readings by poets Naomi Ayala, Peter Klappert, C.M. Mayo, Judith McCombs, E. Ethelbert Miller, Miles David Moore, Richard Peabody, Kim Roberts, M.A. Schaffner, Gregg Shapiro, and others. Yes, on twitter. Follow @cmmayo1 Join into the conversation and tweet #litchat at www.tweetchat.com Tweeting to your tweets about The Last Prince of the Mexican Empire The publisher, Unbridled Books, will give away a free copy of the novel. P.S. Keep your ADD Rx handy. "The Novel: Juggling Points of View"
Take your travel writing to another level: the literary, which is to say, giving the reader the novelistic experience of actually traveling there with you. For both beginning and advanced writers, this workshop covers the techniques from fiction and poetry that you can apply to this specialized form of creative nonfiction for deliciously vivid effects. Click here for more information and to register. P.S. Read an article about this workshop here. C.M. Mayo to participate on panel on publishing, Sat. Feb 21 @ 11:45-12:45; C.M. Mayo to lead break-out session on Techniques of Fiction, Sun. Feb 22 @ 10:30-11:30. San Miguel Workshops "Techniques of Fiction"
Uniquely geared toward both beginning and advanced writers, C.M. Mayos creative writing workshop emphasizes techniques for tapping into creativity and specific aspects of craft. As at the Bethesda, Maryland Writers Center where Mayo has taught highly popular workshops since 1999. In this session you will focus on generating new material with exercises addressing: specificity, point of view, synesthesia, imagery, image patterning, plot and more. For direct on-line registration, click here.